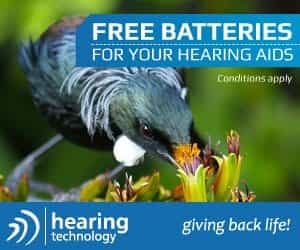 # 42 of 409 Retirement Villages in New Zealand. 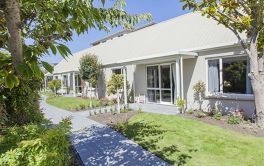 Park Lane Retirement Village in Addington, Christchurch is located near the up and coming area of Tower Junction. Park Lane offers "affordable luxury in a safe and secure environment; a tight knit community where staying connected to friends and family is easy. 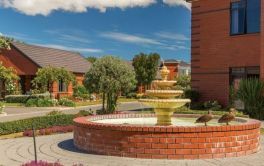 This is a home where residents can retain their independence and have more time for the social and leisure activities they love." 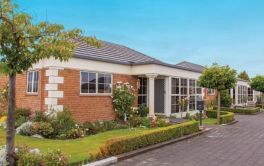 The Arvida website states "Living in Park Lane Retirement Village, residents enjoy all the benefits provided by a boutique style rest home facility, with the added comfort of care in the privacy of their own serviced unit or individual care room." They also offer a one-on-one personal coaching programme that actively empowers residents to take charge of their own health and wellbeing. × Have you visited this facility? Help others who are looking for a place by posting a review on PARK LANE RETIREMENT VILLAGE | Arvida or review a different facility now. The extensions are taking forever but are looking good. I am most impressed with the management. The positive attitude flows to the staff. Caring management and staff. Efficient maintenance staff. Excellent villa design. Good sound insulation. Excellent staff. Very minor architectural details could be better. Ongoing development. Lovely new villa and 2 lovely bedrooms. 2 large bathrooms. Lovely decor and fittings. The only negative is that we have a small single garage, but everything else is lovely. Management seem to do a good job. We have only been here for four weeks, but find the staff very efficient and friendly. Keep up the good work - you are all great. Well built, warm. Prompt reply from staff on any problems that come up from time to time. Management keeps residents well informed on any new changes.